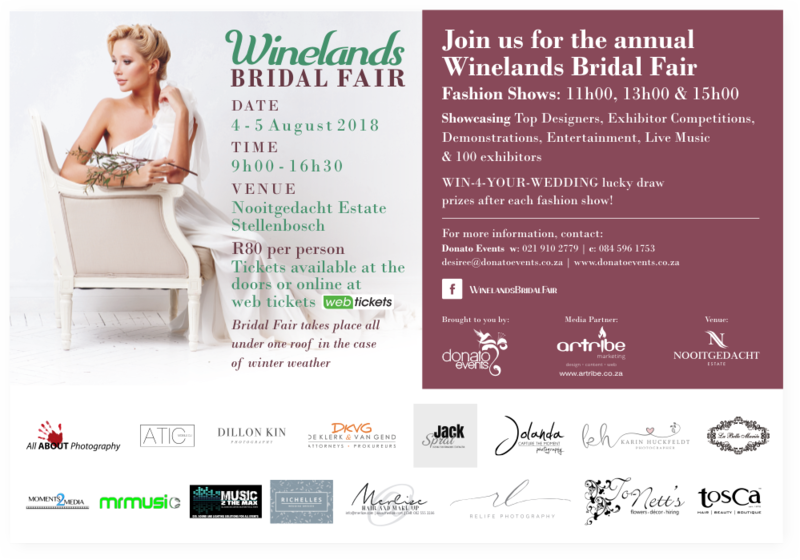 The Winelands Bridal Fair, can only be described as an “experience”, being showcased on one of the most beautiful venues in the Cape. A visit feels like a holiday! Come and enjoy the tranquility of the estate, visit the expo at leisure and have a glass of wine afterwards.